The paper-bag princess goes business. 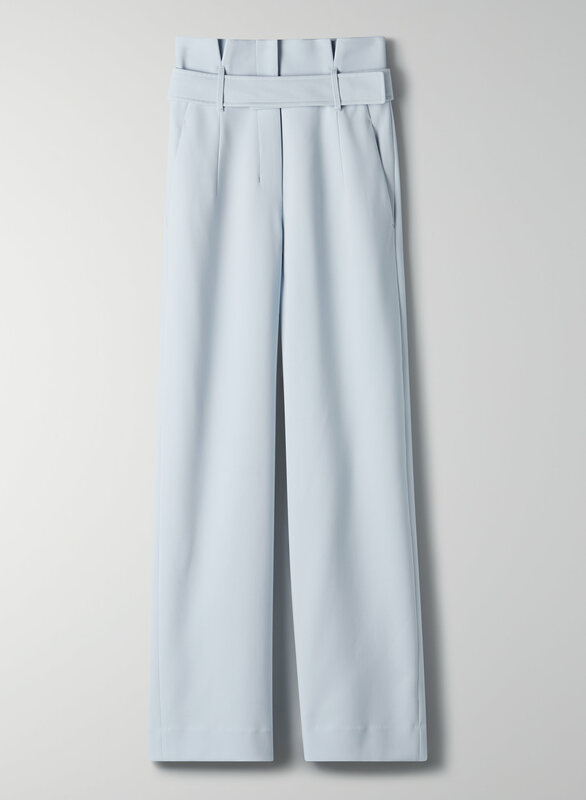 Made with Japanese gabardine, these wide-leg trousers have a high paper-bag waist with a self-tie belt. Very flattering (make you look super skinny! ), I wear with plain t shirt for work. Please bring them back in pink!For reference I'm 5'6, 115 lb and purchased 00 (they are on the tighter side). 167 cm myself, its too long but everything else is pretty great. The waist fits perfectly but the belt is too tight. I had to take it to a seamstress to fix only the belt and hem them , but I need everything I buy to be hemmed. Did you ever consider selling some small sizes in petite proportions? These pants are amazing. So comfortable. The fabric is soft and beautiful. I am only 5'2" so I had them hemmed. 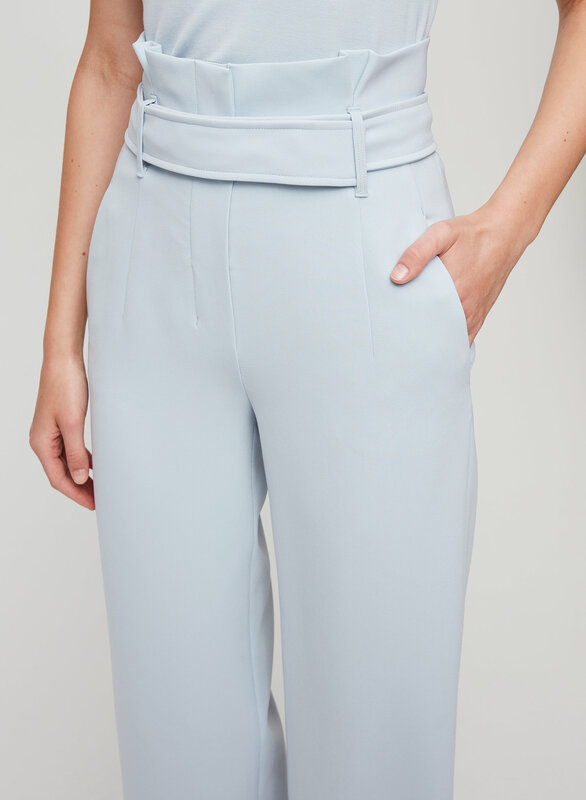 The high waisted pants look great for day and night looks. 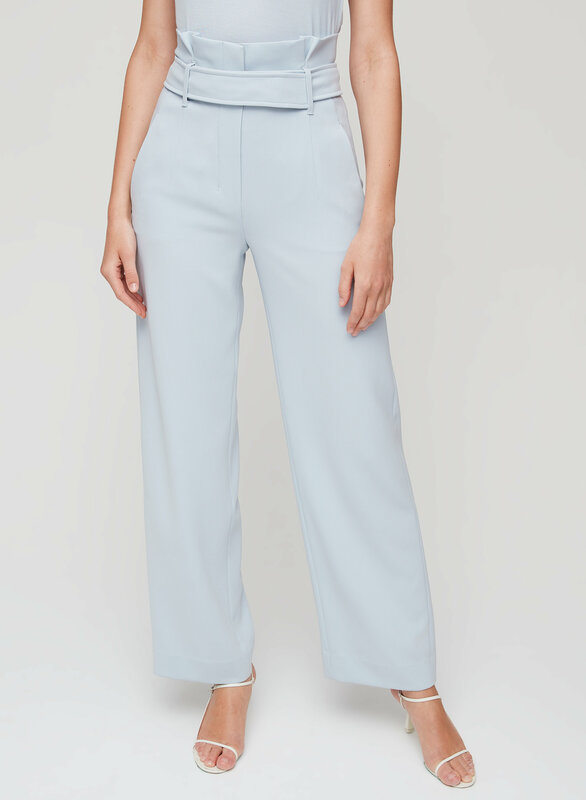 I like how these dress pants are very high waisted, around mid tummy. The only problem is that the length of the pants are so long that it touches the floor. These pants would need to be tailored or worn with very high heels. I’m 5’4” 120lbs and ordered a 0. The waist and the length is perfect! The only problem is with the belt - it’s made for someone with a super tiny waist, so I just need to move the hooks to make it fit!